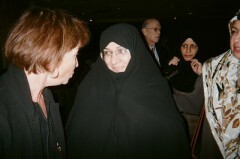 U.S. progressives meet with Iranian President Mahmoud Ahmadinejad | Fight Back! 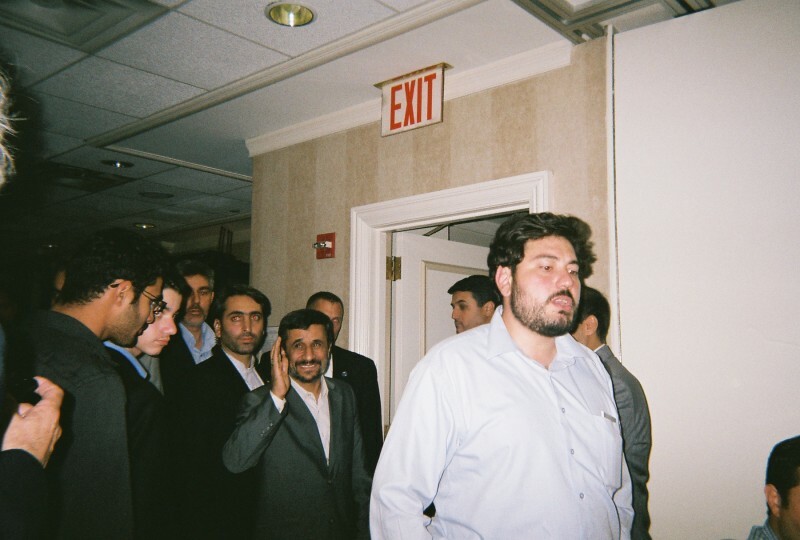 Iranian President Mahmoud Ahmadinejad in New York, September 21. New York, NY - Iranian President Mahmoud Ahmadinejad met here, September 21, with 100 leaders and representatives of anti-war, labor, alternative media and Iranian and Palestinian solidarity organizations. Among the participants were Sarah Martin, Freedom Road Socialist Organization, Margaret Sarfehjooy, board member of the Minneapolis-based Women Against Military Madness, former attorney general Ramsey Clark, former Congresswoman Cynthia McKinney, Sara Flounders from the International Action Center, Brian Becker of the ANSWER coalition, Ramona Africa of the Free Mumia Coalition and Amiri Baraka, poet and activist. The meeting was called by the president of Iran with the hope that a frank and honest exchange of views will help activists further the cause of peace between the people of Iran and the U.S. Specific demands raised include to oppose war, occupation and hostility worldwide; oppose interference in the internal affairs of other countries; support the right to nuclear energy for all, but nuclear weapons for none; and to support dialogue, justice and equality among all countries in the UN. Ahmadinejad spoke of the U.S. wars in Iraq and deaths of over 1 million people for oil . He pointed out that in an Afghan village over 100 innocent people were killed just to get a few terrorists. He expressed anger that even with the floods in Pakistan, the U.S continues to bomb Pakistani villages. He said it is hard to sleep at night after hearing the heart-wrenching stories of the Palestinians living under siege in Gaza with no medicines, no clean water and not enough food. He expressed solidarity with the activists’ goals of struggling for peace and justice at home and abroad and he pledged that Iran will stand strong to the end.